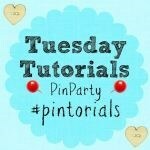 A huge welcome to Week 20 of the Tuesday Tutorials Pintorials Pin Party! This week I am featuring three different ways of painting. My daughter loves painting so much that sometimes I really run out of ideas! Thanks to the three lovely bloggers for sharing their own creations. Firstly is from A Little Pinch Of Perfect who painted these beautiful Monet inspired pictures and added cupcake liners into the picture! 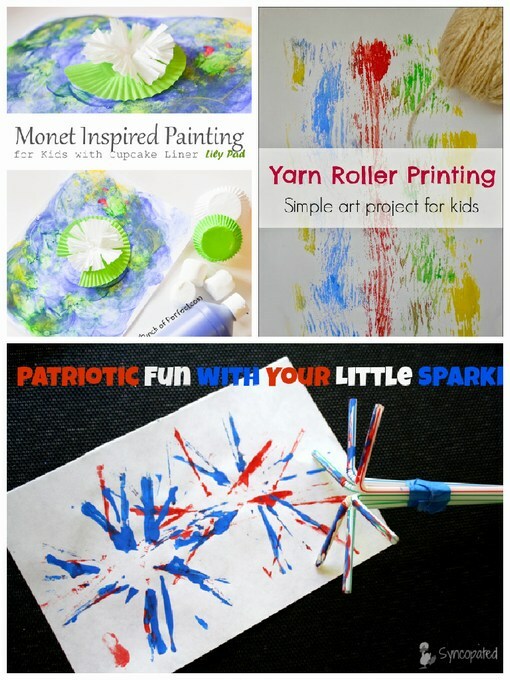 Next is from Syncopated Mama who used straws to paint these patriotic decorations! What a brilliant idea! Last but not least, Sand In My Toes made this yarn roller for painting! Such a beautiful and clever idea! Don’t forget to pop by to take a look at Kate (15 blueberries recipes), The Boy and Me and Hodge’s (10 brilliant bird crafts) blogs to see who is featured this week.